Our daughter started 1st grade this year. She has loved school and especially loves exploring new chapter books. 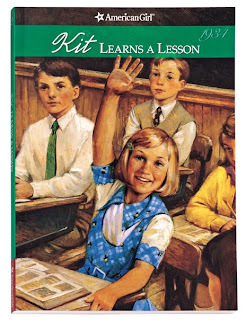 The American Girl book, Kit Learns a Lesson, was her very first chapter book this summer. She originally saw the Kit Kittredge movie, which we checked out at the library then decided to buy because she loved it so much. The movie gave her a great introduction to the 30's time period where she learned more about the Great Depression, soup kitchens and taking in house borders. 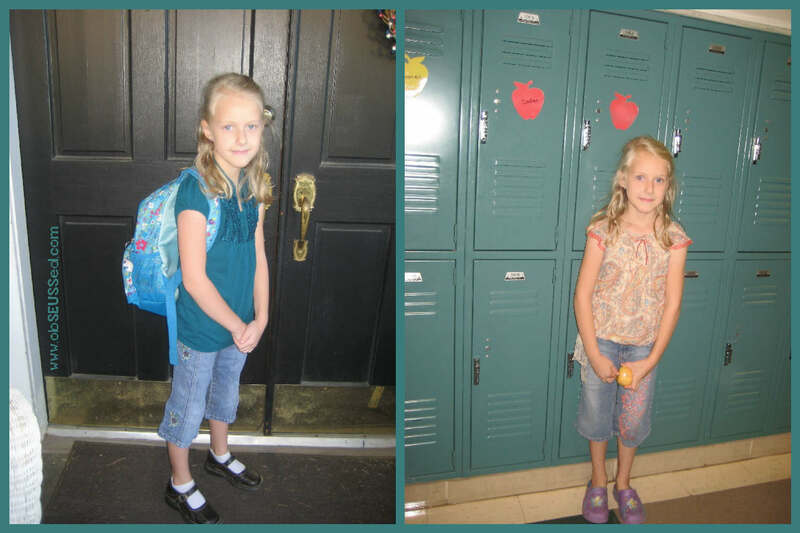 I loved the good example Kit set, with her enthusiasm to write for the newspaper and to help her friends. The book helped my daughter to notice more details and she enjoyed telling me how it was different from the movie. This year, the American Girl "Doll of the Year" is Lanie, "an energetic girl who discovers the the world in her own backyard." She loves the outdoors. Our daughter has seen her friends with their American Girl dolls, watches the movies and has started reading the books.... so of course she started asking for a doll of her own. 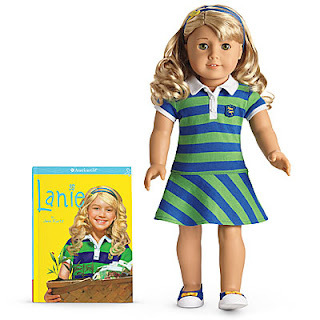 It so happens that grandma calls our daughter "Lanie" as a nickname and the doll looks just like her so I really wanted to get her this doll for her 7th birthday this year. We told her it was a really special doll that you could only get in big cities and that you had to be really responsible to show you can take care of it. The dolls are pricey, (I've never spent this much on a toy for our daughter before) but when I see how the doll's character helps her get excited about reading, learning new things and setting a good example, I think it is worth every penny. My husband recently took a business trip to NYC and decided now was the time to get the doll. He went to the American Girl store by himself, got the doll, then walked around NYC carrying his big red bag. (What a great dad!) When he got home he gave her the doll and she was estatic. 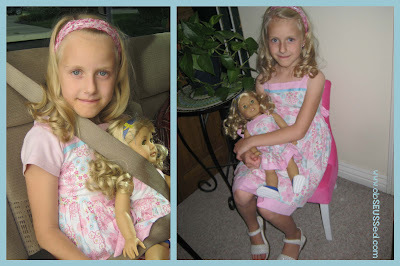 She immediately had a bond with the doll and wanted to dress up like her. "Lanie" can't wait to read the book about Lanie. It is above her reading level so I plan to read it a loud to her. Here are a few pics of her experience. I'm participating in the Book Blogger Hop at Crazy for Books. This is my first time on a Book Blog Hop and the questions this week asked how we promote our blog. I use twitter, facebook, promote on craft linky parties and leave comments on other fun blogs I've read. My blog is new and I'm exploring how to promote in the book blog arena. I'd love your tips. Thank you for visiting my blog. I completely agree with you, I'd like to read that journal as well. Good luck with your blog. It's my dream one day to go into the AG store and come out with a doll. I always hold off because I have four of them (Sam, Molly, Felicity, and a Girl of Today). In case it's of interest, I keep a doll blog over at wordpress. (http://dollyconfessions.wordpress.com/)I don't update as frequently as my book blog, but my goal is to start doing more with it! I'm looking forward to seeing your blog grow! 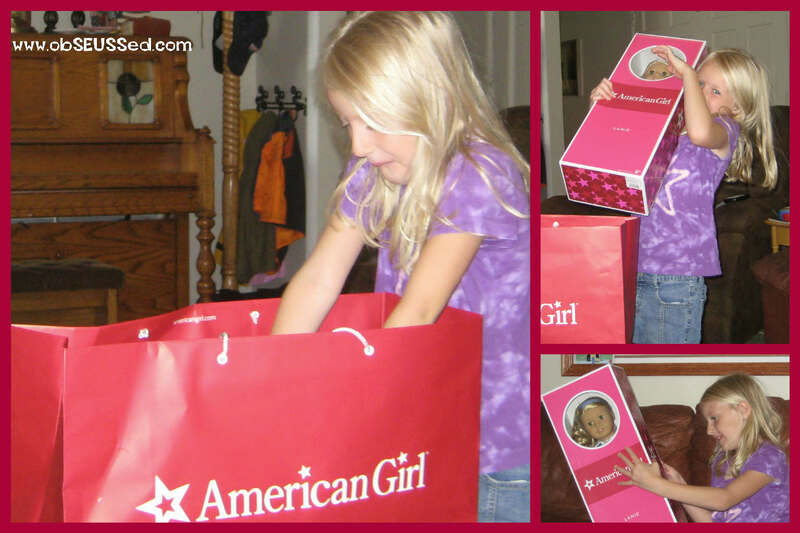 Welcome to the wonderful world of American Girl dolls! I think both you and your daughter are going to have many years of enjoyment. Their matching dresses are very cute. Where are they from? Hopping by on the hop...hope you are having fun. My girls love the American girl dolls My Mom each got them one this past summer. Molly and Kit. Also you can find really amazing prices on girl and doll matching clothes at Sears when they have clearance! 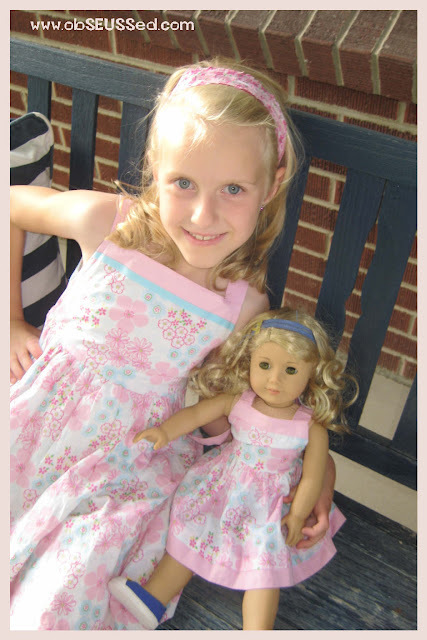 I got one outfit that included a matching one that fit the American girl dolls perfectly for 4 dollars! and two other outfits for 12 dollars each! Also Cute Pictures! Thanks for your comments! I got the matching dresses last year at Ross Dress for Less. They have them every once in a while. I always look when I'm there. We got another one from Sears on clearance and I've seen them at Kohl's and on Ebay too. I want my daughter to save her money to get an official AG matching outfit (to buy when we go to NYC next spring) so it will mean more to her. Victoria, My duaghter loved her Kristen doll. I loved it because it was quality. The hair, in particular, lasts forever and they will fix it if it goes bad. We had so little money at the time, but pooled all the gifts from Grandparents. It was the best money we ever spent. NO more wasting money on dolls that don't last. And she treasured it and dressed like that doll for years. PS. If you are trying to work on your blog, I've posted several articles on blogging that share what I've learned this last year and others have learned as well. Lots of links. PS. You mentioned in your comment that you were trying to work on it so I thought I'd mention it. :o) Have a great day!